One Day that changed the world. One Day when all of the prophecies of old came to completion. One Day when mankind saw the purpose of history leading up to that day and every day after. One Day. In the events of only one day, Jesus had a life-altering experience in the upper room with His disciples, an agonizing time in the Garden of Gethsemane, was put on trial in front of 3 courts, and ultimately was crucified on a cross. These are pillar events of the Christian faith and human history, all happening in the course of One Day. One Day that changed the world. 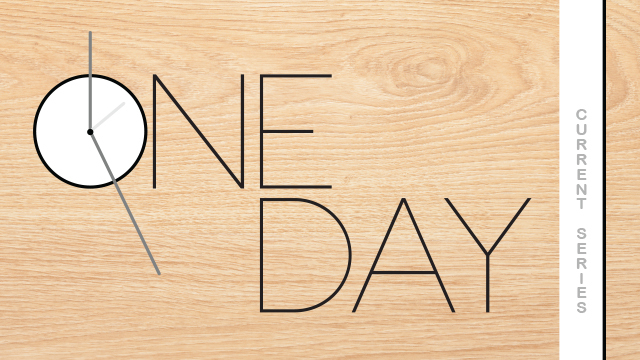 What about your “One Day?” What was that day like when Jesus came into your life? What was that day like when He changed the course of your future? Have you had that experience with God? Is your One Day yet to come? This week we will focus on the scene of the upper room. Jesus does the unthinkable as He puts Himself in the place of a slave and washes His disciple’s feet. While we don’t wash feet in our culture today, it is clear that Jesus is showing His disciples something He believes is extremely important.